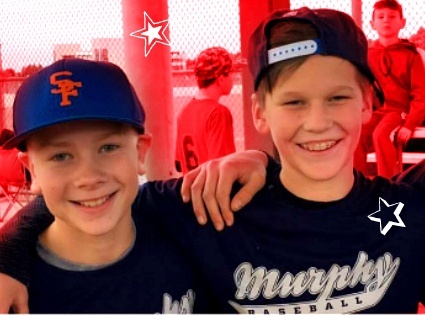 Have a blast and play with your pals from Middle School in the biggest and most fun baseball tournament in Texas! Middle School Matchup is like no other event and always fills up fast. Grab your friends and sign up below to learn more, get access to early registration, and discounts! 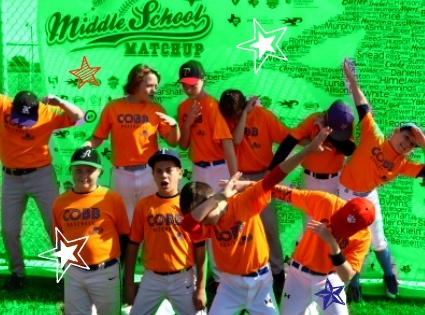 Middle School Matchup is Back! We can't wait to see you guys for a weekend of #happybaseball. The goods below (and on other tabs) should give you everything you need to know about MSM. Grab your gear, friends from school, pick out your rivals and we will see you at check in! -Fun: Teams formed by what Grade and Middle School you attend. So you are playing with the pals you grew up with. It's a fun way to leave ultra-competitive youth baseball (still important) and revisit 'fun baseball' for a weekend. So popular in the Dallas area that teams sell out in minutes! 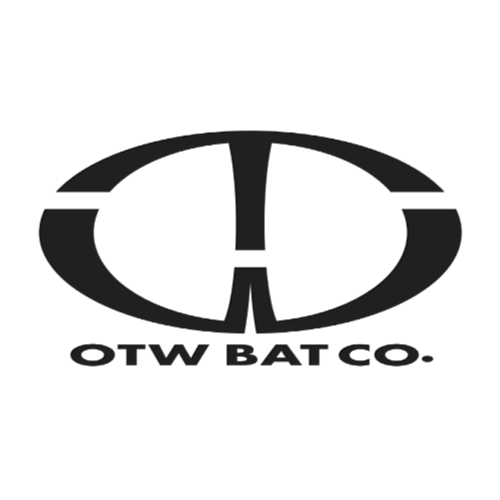 -Awesome Awards - Finalists get amazing rings and champs also get custom bat, painted in school colors and engraved for school showcase. Remember, we only come around once a year...Play in the MSM Tourney and go right back to select team practice on Monday! That's right...We'll be playing right around your neck of the woods! We'll have kids from schools all over the Houston area so we're glad to have some local fields to play at! This is a pretty unique tournament and that means a lot of questions the first time around. 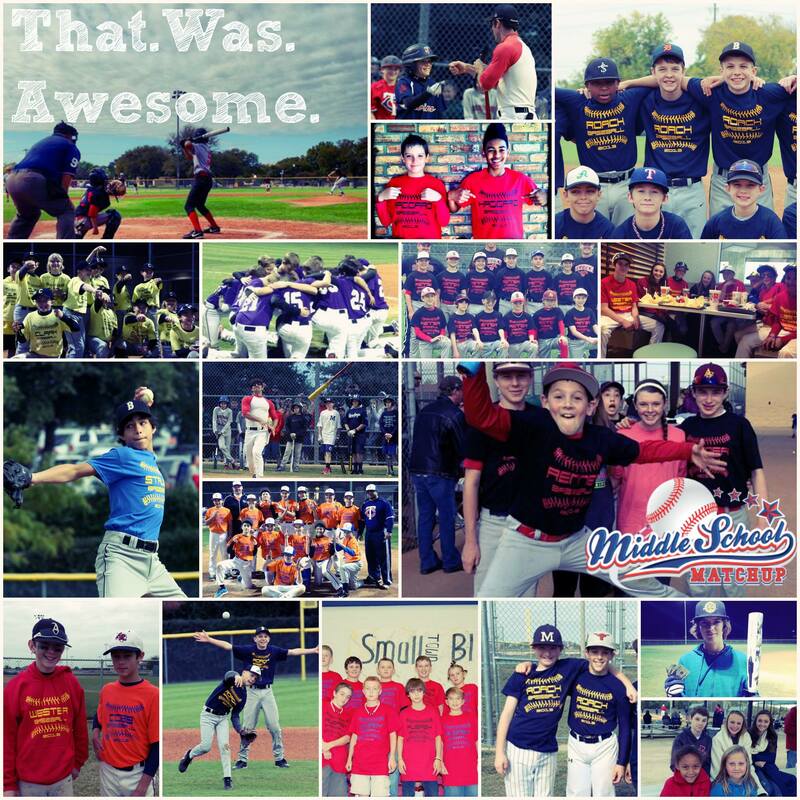 It's a blast...3000+ MSMers in the Dallas area get just as excited for the tourney as the rest of the holiday season! Here is a list of players on the Registration List that are ready to play! Players and Teams are listed below. It's a lot of data and is probably best viewed on larger devices. You can search and sort to get a great view of who is currently signed up! Not on the list? Click the green button above or below! Don't see your team yet? No worries! We use a 'pick up baseball' style of recruitment. Players make teams based on which school they attend and what grade they are in. You sign up, you tell your friends, they tell their friends...And just like that you've got a baseball team for your school! It's super easy, especially using some of the tips on the Team Building Page. It's going to be a great time and we have a lot of cool and fun ideas we are going to try to implement. This weekend wasn't about winning or losing....It was about playing MIDDLE SCHOOL BASEBALL!!!! 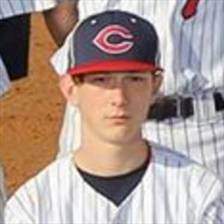 It brought boys together that have never played together but showed what a passion for baseball can do. Thank you!!!! I have played in nearly 1000 games now, all over America and I still think MSM was probably the most fun I have ever had playing baseball. Playing with the kids I grew up with was amazing. Even in high school we still talk about how fun (and crazy) our games were! 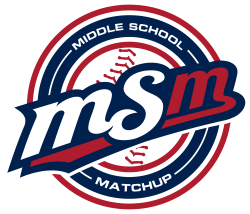 What is Middle ﻿School ﻿Matchup? 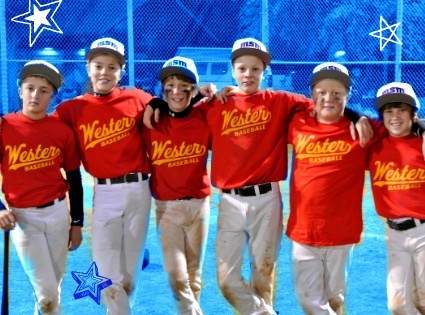 MSM is a unique weekend tournament for middle school baseball players in areas that do not have formal middle school teams. At MSM we align players by middle school, regardless of skill level, and give them the special chance to take a short break from their current team and play ball with the kids they have grown up with! Smiles and high-fives are guaranteed. Copyright text 2018 by Middle School Baseball Championships.